Do you want to maximise lead generation? What are the benefits of hiring an SEO company? If you are looking at outsourcing your marketing functions then considering your SEO is a good starting point. We can help with the design, performance and productivity of your lead generation function and website. Ultimately if you can drive your marketing to become more efficient you will lower your cost of sale and raise revenue and profit. We successfully handle SEO in house however, if you are considering a change, there are some benefits to outsourcing that are worth highlighting. The website build and construction is critical to improving your chances of a higher and more consistent ranking. Competition for places on search optimisation results pages (SERPS) is fierce, it is critical that SEO is driving your business to your customer base. We will look at how your website is built to optimise the load speed, the number of keywords and the type of keywords. It is important to review how your website performs in comparison to your competition, do they feature higher in the SERPS? Lead generation and the successful functionality of your website is not something to be left in the hands of an amateur. Many businesses have team members learning on the job in a field where they may have no real experience and expertise. This could end up hurting your business lead development, a poor return on a vital investment to your business. We have the experience to position your business correctly, select the right appropriate keywords and, ensure that your ranking on SERPS improves. In the event of a penalty or an algorithm update it is beneficial to have the support of a company who has managed such issues before. The criteria for ranking is constantly changing and evolving therefore you will need to have a company who are familiar with this process. While it is possible to manage your SEO internally you will find it difficult to maximise your website potential and gain the best results . At Pinnacle Internet Marketing we will quickly review your business strategy and work with you to set targets and goals, this will become your improvement plan and the route to increased visibility for your business. Consistent attention and monitoring of the plans progress will ensure delivery to plan. Our SEO professionals will bring the benefit of a dedicated account management team ready to make any necessary tweaks to your website to maximise lead generation. A successful business is fostered by good decision making. Business leaders will be faced with challenges as they grow and nurture their business. Outsourcing SEO is a key decision to support the growth of your business. With a good professional SEO company on board you will free up time and resource to concentrate on the day to day running of the business, growing the top line by working sales leads and improving business processes. We will provide reports and analysis as to how your website is performing, market trends and tips and options for improvement. This enhances your ability to make clear judgements to move the business forward and develop more sales leads. Having a professional partner gives the business confidence that one of the most important tools to your business are in safe hands. You will find that there are companies that are offering SEO services only. It is worth considering a more rounded company that can offer a complete range of Internet services who can create and manage website content, advertising, inbound marketing and website design. Having a one-stop solution will give you a fully aligned internet marketing strategy free of conflict and captured under one umbrella. Having a full solution with one partner also makes sense from a commercial point of view. Access to services will be more cost effective as an existing customer and will give you leverage on a full package of services. A successful company is one that is making good revenue and profit. By maximising your sales leads you will enhance the sales opportunities for your business. The more leads that you can turn into orders the better your business will perform. Investing in marketing and internet marketing expertise is making a step to securing a more profitable business for the future. 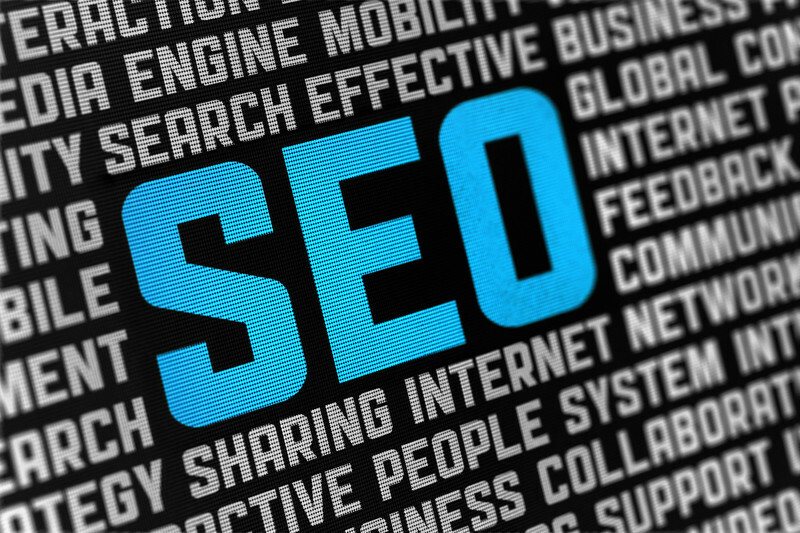 In summary, there are key benefits to outsourcing the SEO of your business. There are many options when it comes to finding the right company to work with you. Researching the internet and reading case studies and reviews will help you understand the competency of a prospective business. Follow up the reviews with previous clients to understand the reliability of the source. Also use networking forums and share best practice within your business network will help you find the best option for you. Make sure the company you choose have a track record of success and can demonstrate progress and achievement with their previous clients. Review and understand the pay structure, what is included in the pricing, what items are not included? Understand the term of the contract, the duration and when it is complete. Is there a fixed term or do you need to give notice? Some contracts can only be terminated on an anniversary so be careful that you are sure of the terms prior to signing and engaging with your potential partner. Just as a professional SEO can improve your business profitability a poor one could destroy what you have built and tarnish your reputation. This entry was posted in SEO on August 10, 2017 by Pinnacle.